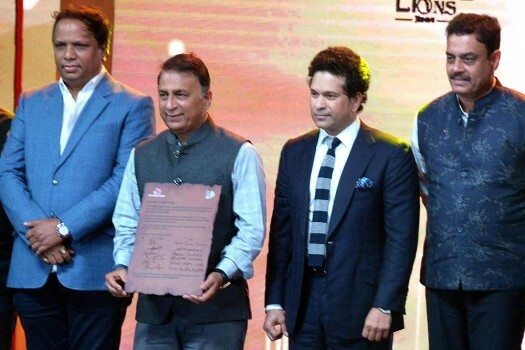 Cricket Legends Sunil Gavaskar (2ndL) Sachin Tendulkar and Dilip Vengsarkar (R) along with MCA President Ashish Shelar (L) during the T20 Mumbai League Opening Ceremony in Mumbai. 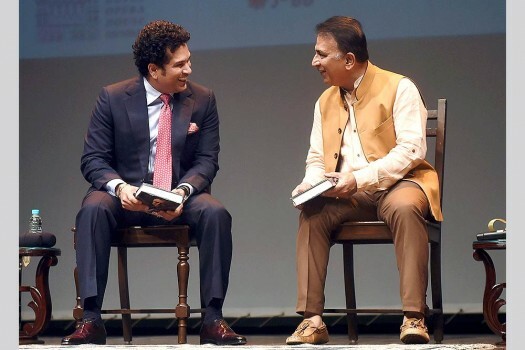 Cricket legends Sunil Gavaskar and Sachin Tendulkar during the launch of senior journalist Rajdeep Sardesai's book 'Democracy's XI' in Mumbai. 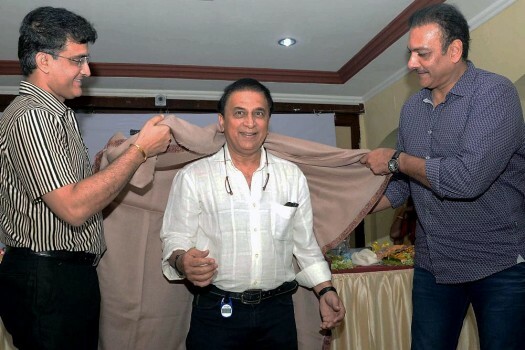 Former Indian cricketers Sourav Ganguly and Ravi Shastri felicitate legendary cricketer Sunil Gavaskar at a function in Kolkata on Sunday. 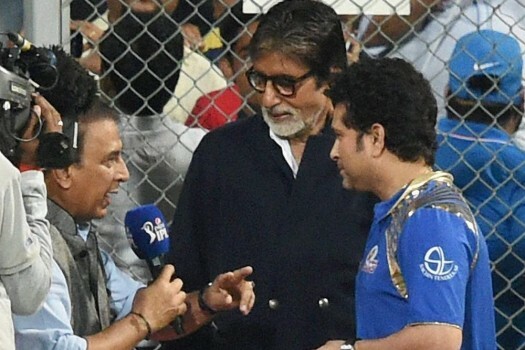 Amitabh Bachchan with Sachin Tendulkar and Sunil Gavaskar during the Kolkata Knight Riders and Mumbai Indians IPL T20 match in Mumbai. 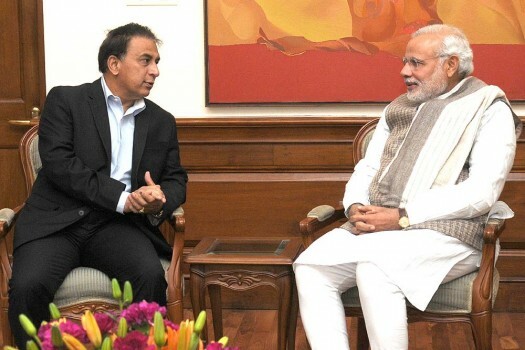 Former Cricketer, Sunil Gavaskar calling on the Prime Minister, Narendra Modi, in New Delhi. 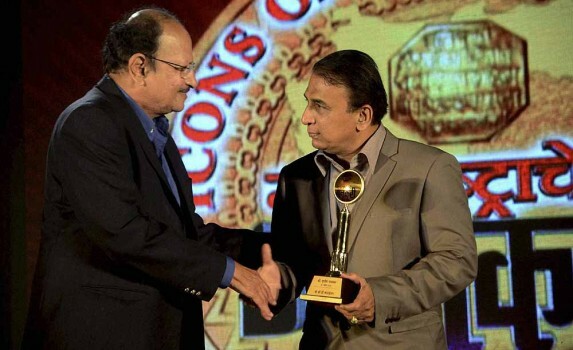 Cricketer Shikhar Dhawan receives an award from veteran cricketer Sunil Gavaskar and Industrialist Harsh Goenka during the CEAT International Cricket Awards 2014 in Mumbai. 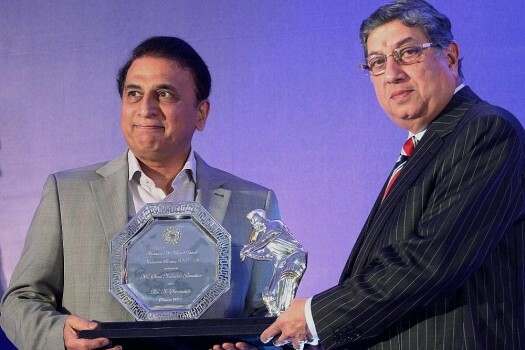 **FILE** Sunil Gavaskar, whose name has been proposed by the Supreme Court to Head the BCCI in place of N Srinivasan till the pendency of the spot-fixing case. 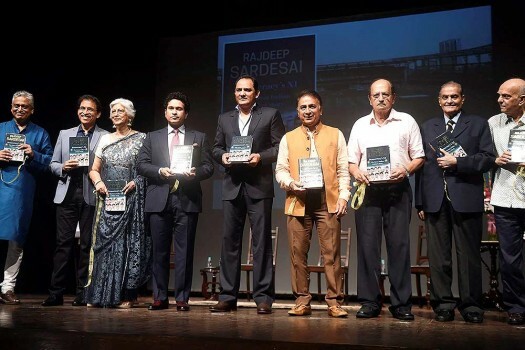 Former Indian skipper Sunil Gavaskar being felicitated by Ajit Wadekar on occasion of Maharashtra Day at Ravindra Natya Mandir, Prabhadevi in Mumbai. 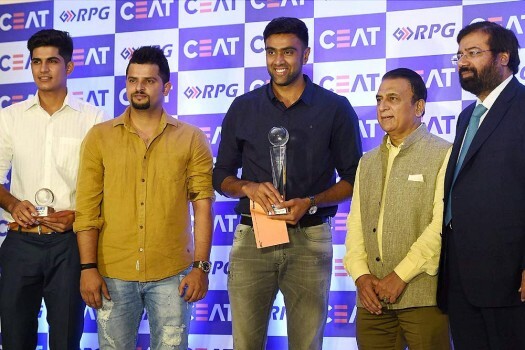 In his 22-ball knock, the 25-year-old hit five sixes and two fours to contribute with 45 crucial runs in a winning cause. 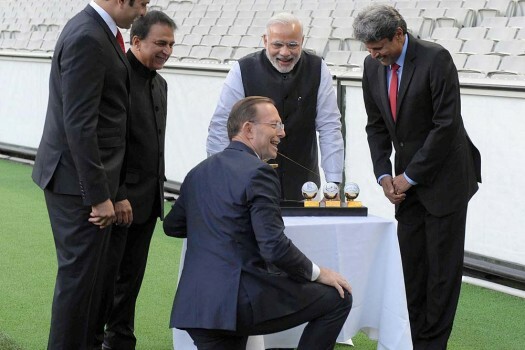 Pandya played his first international match on Monday following the events that unfolded after sharing the couch with Bollywood film-maker Karan Johar in the celebrity chat show 'Koffee with Karan'. 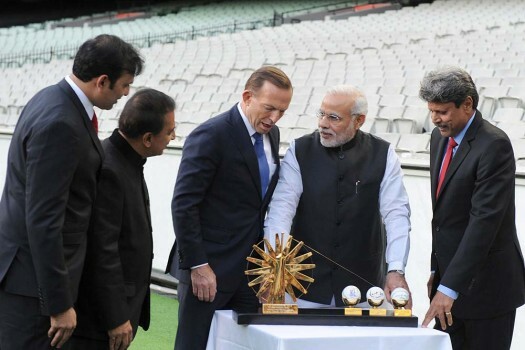 In an intriguing over, Shami was hit for 6,6,4,2 then Williamson dragged the fifth ball. 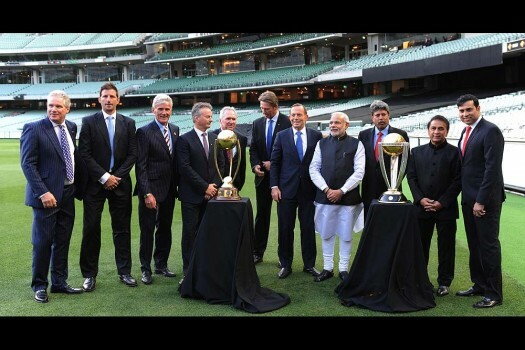 "This is history and a terrific moment for Indian cricket," said Sunil Gavaskar. 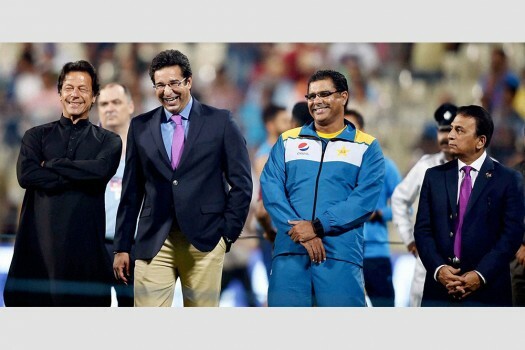 The original brains behind the IPL on the ongoing match-fixing case in the Supreme Court. 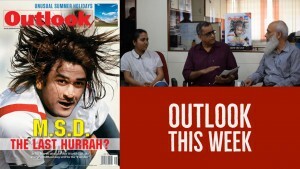 Well left! 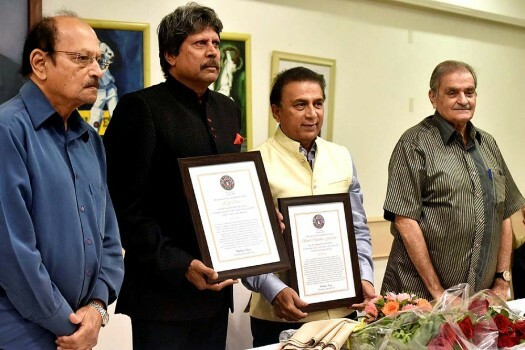 Why do Gavaskar and Shastri, Indian cricket’s trusty duo, board up on honest opinion? 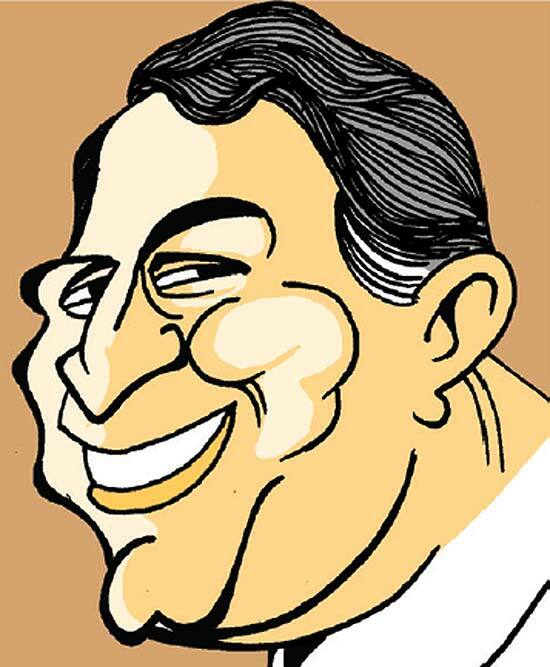 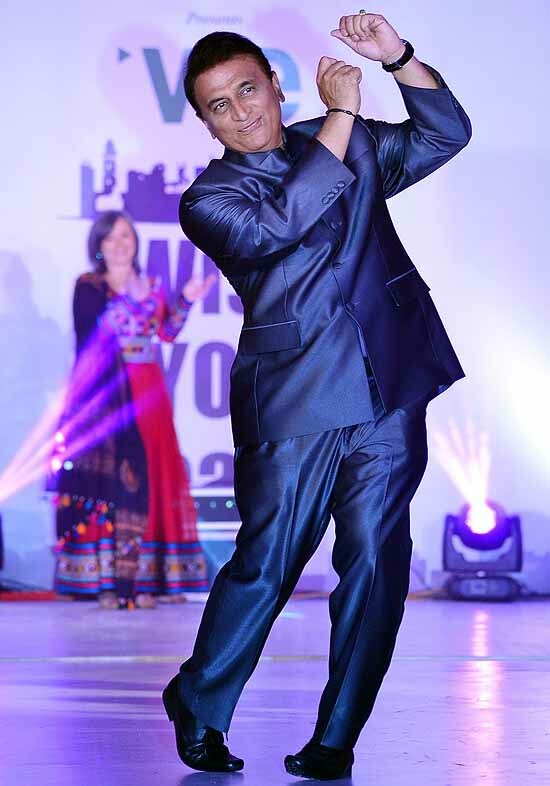 A covetous, combative Gavaskar asks for more. 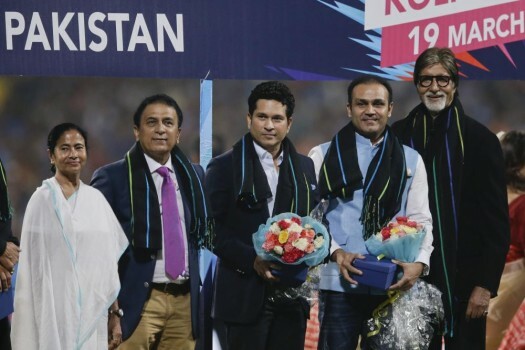 An outraged Board disagrees.